I am such a sucker for a flow-y maxi dress. This one from Free People is no exception. I cannot wait until it is a bit warmer out and I can wear it sans this leather jacket... as much as I love this little baby. Anyway, hope everyone is having a fantastic Monday! The trees are in bloom and I am quite excited about it. 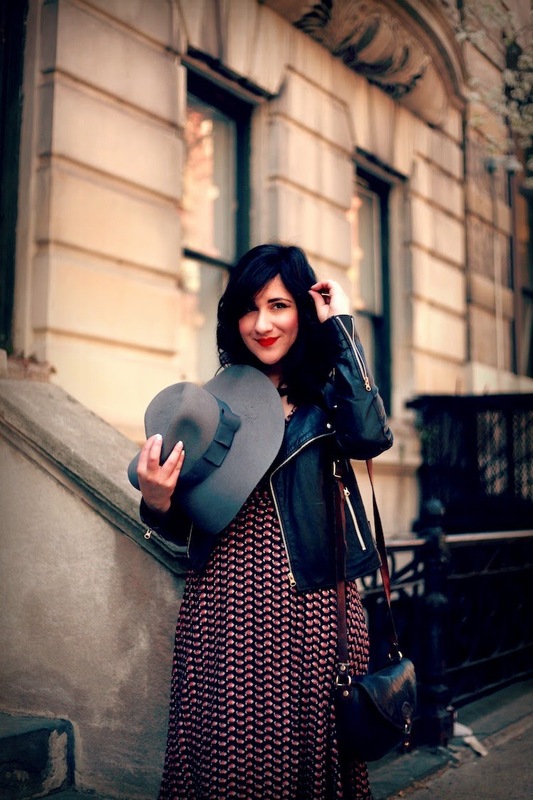 The hat, jacket and bold pattern... So good! This dress is everything!! Beautiful outfit! that dress is so gorgeous. love the color and cut and the way you styled it so casually with the leather jacket! 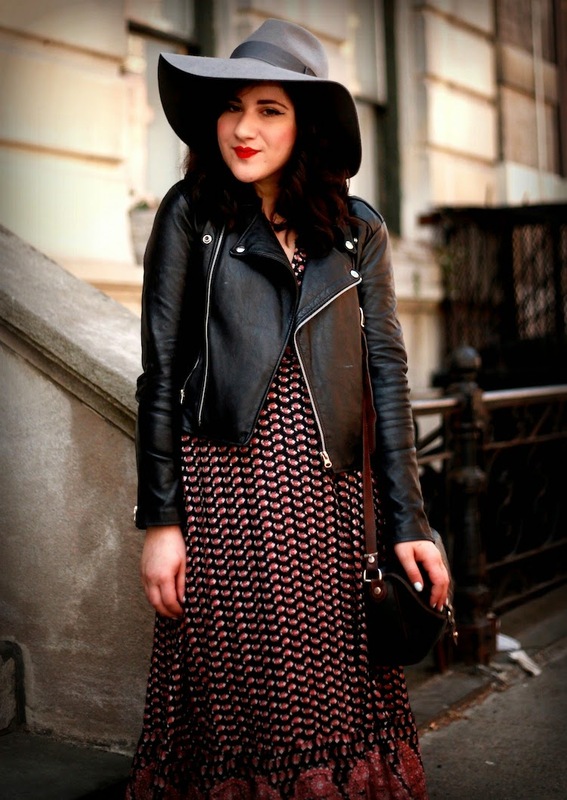 I'm a sucker for both maxi dresses and hats - you look fabulous darling. Wow that dress is gorgeous and these photos are magical! I cannot wait for our trees to be in bloom here! I love free people! Great outfit as usual! terima kasih sudah berbagai info yang sangat menarik , salam sehat gan ..
web yang penuh insfiratif, semoga makin banyak peminat pembacan nya, sukses yaahhh .. 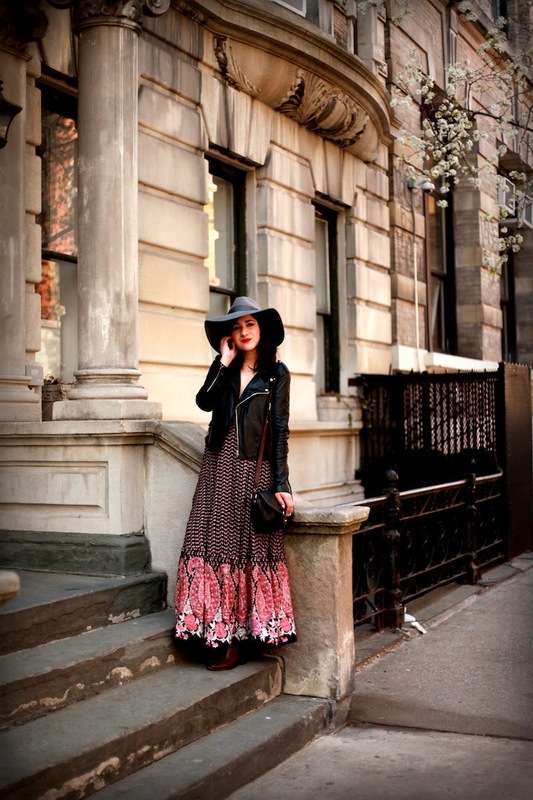 The pretty minifloral on black print of your Free People maxi is beautiful. I love the retro style detail of the dress closer to its hem. It's beautiful. I was just thinking to myself when I saw this dress, "that is so beautiful I bet it's Free People." they make such lovely maxi dresses! And I love that you mixed flirty + sassy with the jacket! OMG i LOVE this dress!!! So romantic! This is a really good look on you, I always love a good leather jacket!